Over the Labor Day weekend we went camping in Upper Michigan. We camped in the small town of Munising, which is smack dab in the middle of some awesome waterfalls. We have been to most of the falls in the area on prior trips, but two that we hadn’t been to were Memorial Falls and Tannery Falls. 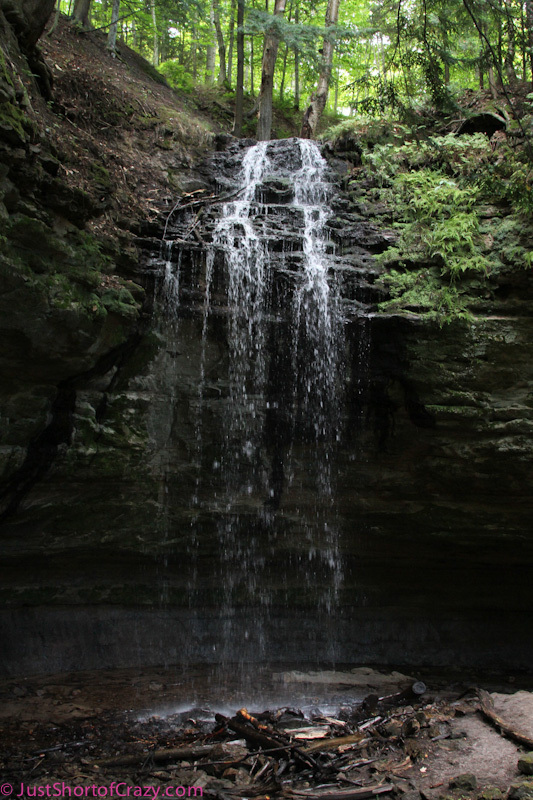 For a long time these falls were located on private property, but the Nature Conservatory now owns the land and allows hikers and waterfall enthusiasts access to the falls. Parking on a side street you cross the ever busy M-28 to access the trailhead. Both these falls are near one another which makes for a very nice hike through the forest. 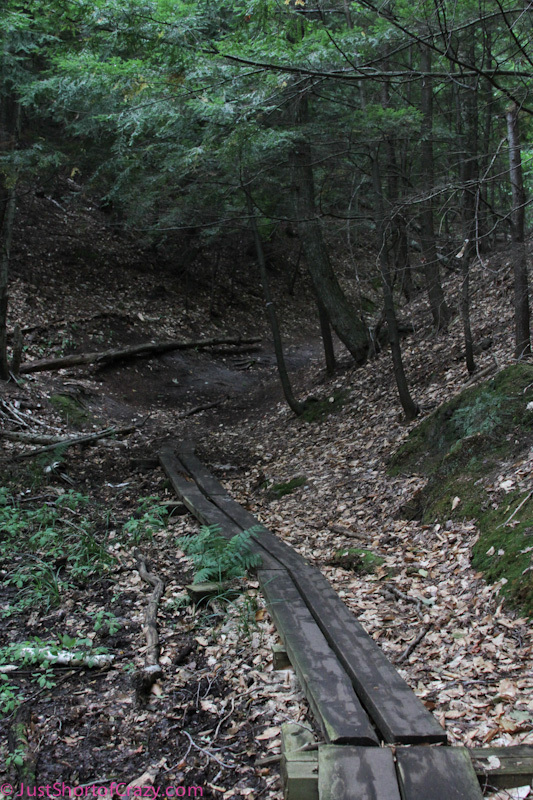 The trail, however, is a bit rugged and has very uneven terrain. 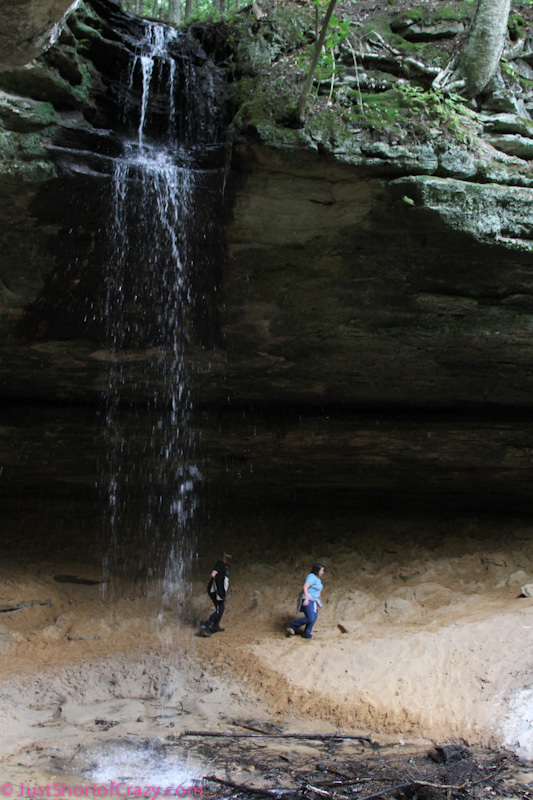 Our favorite part about these falls is that you are able to hike behind them. I would love to go in the spring when the snow is melting. I bet the falls are gorgeous! 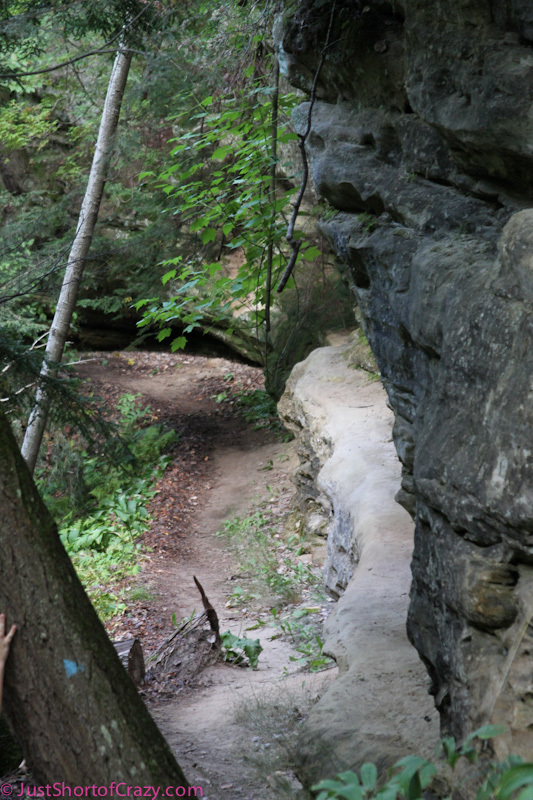 There is a rock wall along most of the trail and the other side can be a bit of a drop. YouÂ definitelyÂ do not want to take a wrong step. The terrain is what made this hike a lot of fun. Once secluded in the forest it was hard to believe that we were so close to a main road. Another benefit of hiking along these trails is that we practically had the place to ourselves. We only passed a couple people. 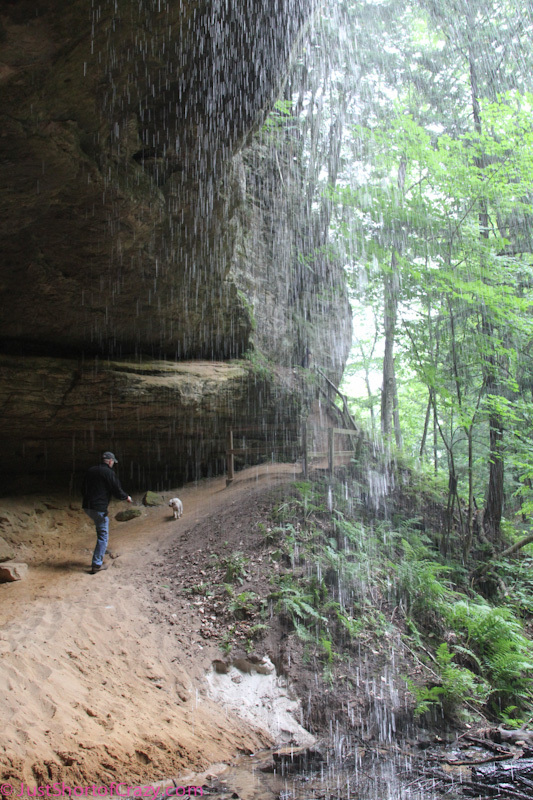 Kinda like we had our own private waterfall….cool! Such pretty waterfalls. Small, yet quaint falls well worth the hike. Very nice pics, Deb. Just taking my morning coffee break and wanted to say a quick hello. Trying to get all the last minute stuff done. So looking forward to the U.P. –hopefully this drab crap will be gone by then. That is incredibly beautiful. I would LOVE to visit there.